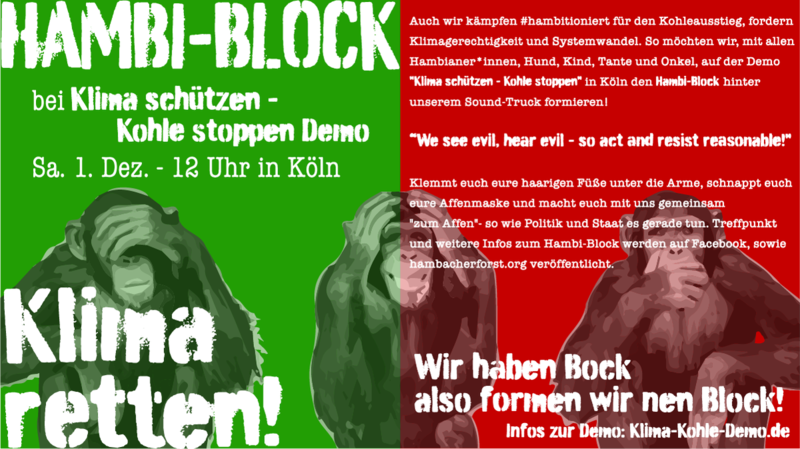 We too are fighting hambitiously #Hambitioniert for a coal exit, calling for climate justice and system change. 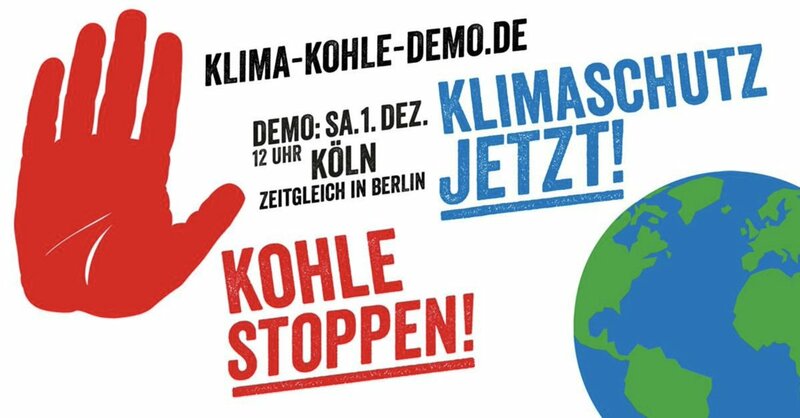 So we want to build the Hambi-Block with all Hambians and their dogs, children, aunts and uncles at the demo “stop coal – climate protection now!” behind our “soundmobil” in Cologne! With the motto: “We see evil, hear evil- so act and resist reasonable”  we want to come down with the entire monkey gang from the trees to the road and show what we are fighting for. Pinch your hairy feet under your arms, grab your homemade monkey mask (Flyer and diy ideas). Politics and the state are “making monkeys of us!” That German expression means that they are messing around with us. OK, together we’ll show them what kind of monkeys we are. The meeting point of the Hambi block is still secret. Subscribe to the Facebook event for all short-term news. All current info from the organizers to the directions. We feel like it, so we’ll form a block!